This entry is part 4 of 16 in the series Belgium in a Glass. Trappist beer is probably the most recognized type of Belgian beer. Although it isn’t exclusive, Belgium is home to the majority of Trappist brewers. Made by monks in an abbey, Trappist beer has an element of mystery and nostalgia. But what makes a beer Trappist and what Trappist beers are available? The name ‘Trappist’ originates from the Cistercian abbey, La Trappe, in Normandy, France. Cistercians are a branch of the Benedictine order who believe in a more strict observance of the Rule of St. Benedict, including a return to manual labour. However the monks at La Trappe Abbey believed in an even more severe version of St. Benedict’s rules, so they created a new branch called the Order of Cistercians of the Strict Observance. Today monasteries following this new order are commonly known as Trappist. 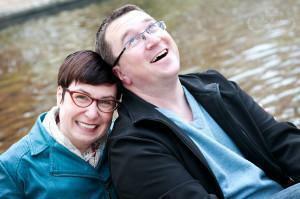 One of the fundamental beliefs of Trappists is the need to be self-sufficient. As per the rules of St. Benedict, this is normally accomplished through manual labour, especially field-work. In some cases, this has resulted in monasteries producing and selling goods such as cheese, bread, various types of alcoholic beverages, clothing, and even caskets. Today there are close to 170 Trappist monasteries and convents around the world. Very few produce beer. In fact, there are only 7 Trappist monasteries producing beer that qualifies for the “Authentic Trappist Product” (ATP) designation as defined by the International Trappist Association (ITA). The brewery must be secondary to monastic life. The brewery must not be for profit; any surplus must be used for charity. The beer must be constantly monitored to assure high quality. Like wine from an Appellation d’Origine Contrôlée (AOC), these rules ensure when you buy a Trappist beer you have some guarantee of the product’s legitimacy and quality. Belgium has the tremendous fortune to be home to 6 of the 7 Trappist beers (see table); the seventh is located in the Netherlands, confusingly branded ‘La Trappe.’ There is also a Trappist monastery in Austria which just released its first beer and is likely to gain the ATP designation sometime in 2012, which would make them the 8th Trappist brewer. 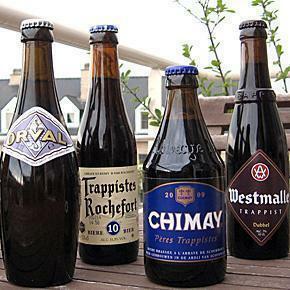 To make things more confusing, there are a few beers labeled as Trappist that are not Authentic Trappist Products. An example of this is the beer produced by Chimay for the French abbey of Sainte Marie du Mont des Cats. 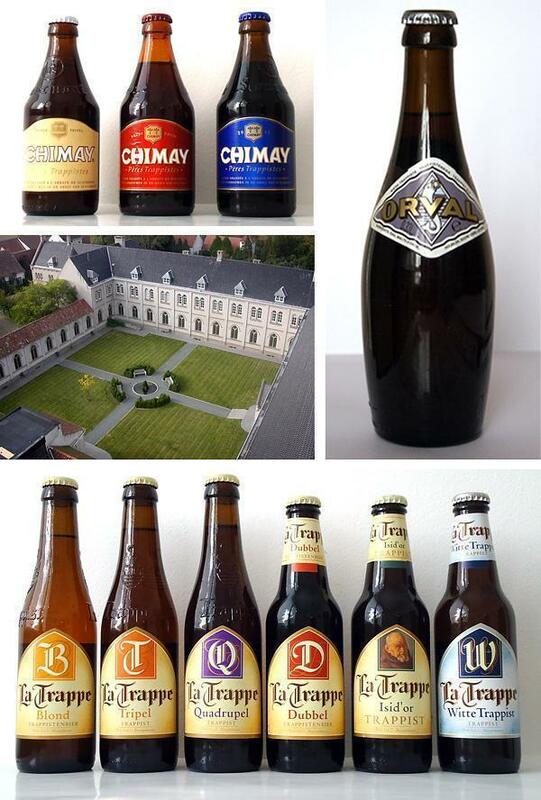 The abbey has no brewery onsite, but it is still produced by Trappists, therefore they can call their beer Trappist. In general, I find Trappist beer to be mildly sweet with a bitter after taste. The blonds tend to be more neutral in flavour but with a distinct bitter finish. The dark and brown ales are more full bodied, with a bit more caramel flavour. On a sunny day you may want something lighter, but I typically prefer the darker and stronger ales, such as Chimay Blue and Westmalle Dubbel. In my opinion, Westvleteren’s dark beer is the sweetest of the Trappist beer, especially their strongest which has lots of creamy caramel flavours. It is also one of the most difficult beers to buy. It is only sold at the abbey itself through pre-order. Some specialist stores or bars in Belgium will have a bottle or two, but it is not a certainty. As a final note, Trappist beer are typically “bottle-conditioned,” meaning they are either not filtered or they have yeast added to the bottle so fermentation continues after they are sealed. The result is Trappist beer can be stored a long time and may even improve with age. So if you buy a case, just put it somewhere dark and cool so you can enjoy it later. Westmalle Tripel – A blond to start the evening, this tripel is creamy with a touch of citric sourness in the finish. It’s best enjoyed on a sunny terrace. Chimay Bleue – This is probably the most available Trappist beer both in Belgium and abroad. It is not too strong and has a touch of spiciness with a hint of caramel. It’s great when the evening starts to cool off. Rochefort 10 – A bit stronger; it is heavier than Chimay Bleue but the honey smoothness is a nice finish to an evening. Have you tried these Trappist beers? What was your favourite? 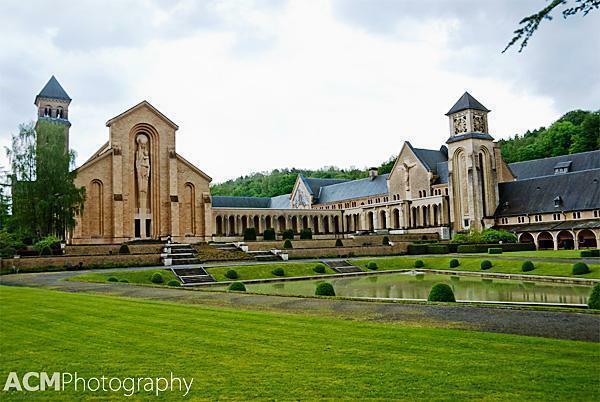 Want to visit a Trappist Abbey? Read about our trip to Notre Dame d’Orval and our guest post on Rochefort beer. Thank you to the International Trappist Association (ITA) for permission to use their logo on this article.